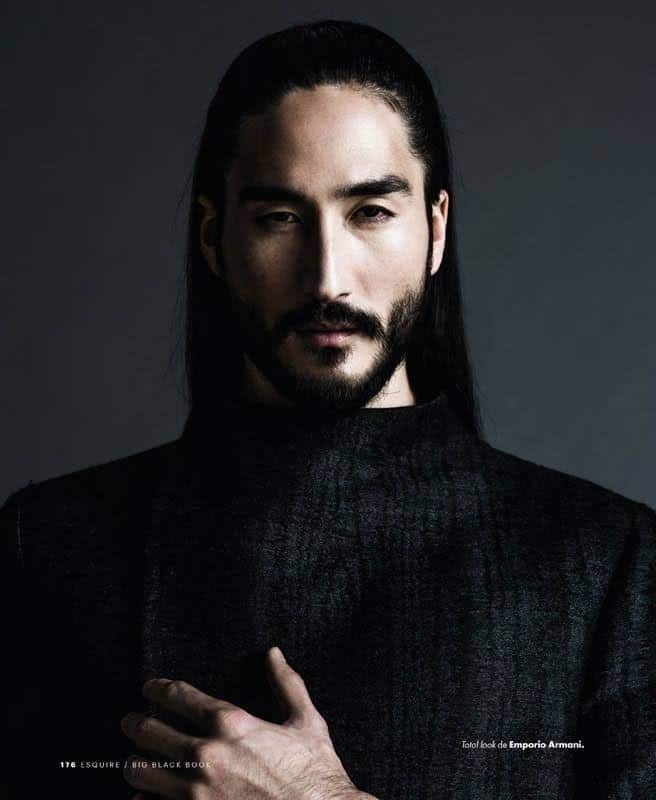 Anthony Thornburg has been taking the fashion world by storm, not because of the amazing clothes that he wears or the stunning locations of the shoots, it is his long hair and luxurious man beard that has garnered him the most attention. By all accounts, Anthony Thornburg has everything that you would expect in a top male model, he is over six feet tall, his black hair and brown eyes can melt a lady’s heart from a mile away, but his beard is what sets him apart from the modeling world. Let us dig a little deeper and find out who is this man behind that stunning beard! 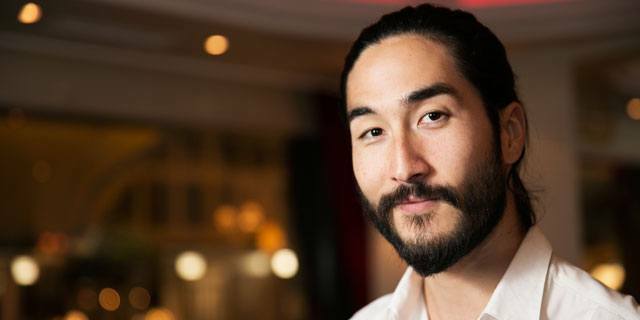 Unlike most male models you see splashed across the magazine covers at your local newsstand, Anthony Thornburg is a Hawaiian-born model with Norwegian, Swedish, and Japanese decent. He grew up in a very quiet neighborhood on a small Hawaiian island called Niʻihau. 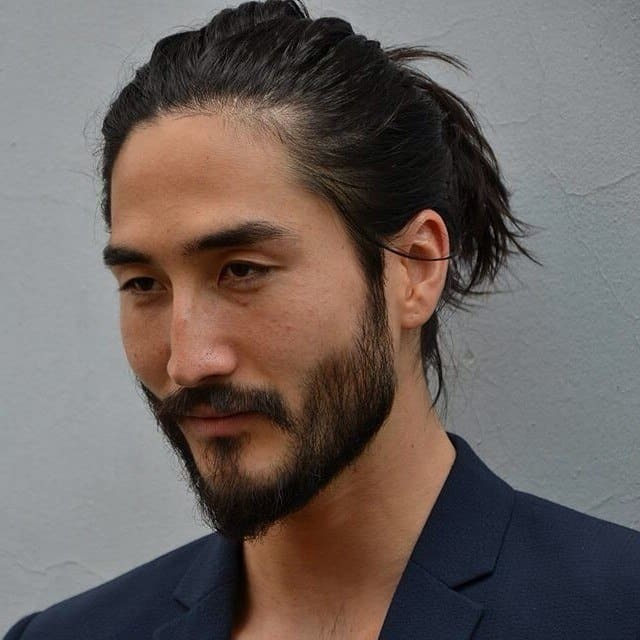 Depending on whether he has his hair up in a man bun or flowing way down past his beard, he has a unique look that is easy to recognize. Picture Bruce Lee with long hair and a beard, and you get the idea why he is taking the industry by storm. He keeps his body in amazing shape, but he keeps that beard trimmed and ready for whatever comes his way each day. Anthony Thornburg has lived in Switzerland and parts of Europe, and everywhere he goes his beard gets him instant recognition with his adoring fans. Most male models are like cookie-cutter images of one another, but Tony and his beard have developed a unique style all their own. Although his man beard has gotten him gigs all over the planet and riches beyond even his wildest dreams, it can be a curse Thornburg says. Each year more of the world wants to be up close and personal with him, and this gets him further and further from his tiny little slice of heaven in Hawaii. His facial hair has given him luxuries most men would die for, but Tony looks back fondly and reminisces about how his misses those Hawaii sunsets and the magic of the Pacific Ocean. Now that Anthony Thornburg is a world-renowned beard model, many can not even imagine what he was like before he decided to let his facial hair take center stage. Back before Tony was a teenager, he would spend most of his time drawing and playing massive amounts of video games. He was always fascinated by animated characters, and would fall asleep each night with the television on in his bedroom. He recalls that while he was still unsure of the path in his life, a show called Fashion Trends would be looping for countless hours at night on his television. He would think to himself how great a life to walk the catwalk and look successful like those characters he admired in his video games. He knew his Asian descent would not make it easy to get into modeling, but there was this burning desire inside that fueled his efforts to just go for it. One of the industries that you do not want to stray too far off the path is modeling. When Anthony Thornburg went to his first modeling audition, he recalls how all the guys looked, sounded, and acted alike. Tony was tall, looked different, talked different, and had long hair and a matching beard. He knew his look was not typical, and didn’t expect much that week. Armani called him and demanded he and his beard be the face for their brand, and the rest is history. He tells his fans today that being different is what makes us all special, and if you want to grow your beard, then grow your beard. 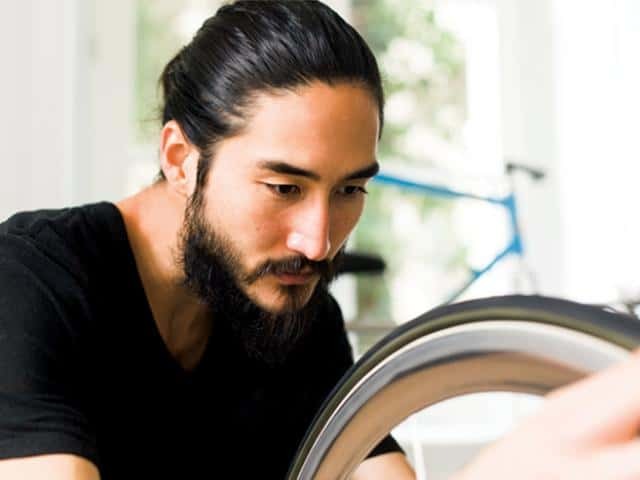 He had been struggling to pay his bills for five years when he finally got his big break, and now his man bun and beard are easily recognized in magazines, billboards, and commercials around the world. Just like growing out his beard, Tony tells all his fans who are interested in modeling to just be patient. You have to let things play out and take their natural course. He feels that clothing can only communicate his message in so many words, but his beard speaks volumes. His beard tells people you can be different, you do not have to conform to what society thinks is your path, and you can be a free spirit and still be a huge success in this world. He likens his success to that of Arnold Schwarzenegger, who went from a very tiny town to become a movie star, governor, and now motivational speaker. He reminds all his fans of one thing, never forget where you came from and if given the chance to help someone, do it. big idea. And hair in buns are for women. Get a real man beard and get away from the woman’s hair style we call a man bun. Buns for women! I can why people ranting and raving over this look. Each of their own I guess.